If you require a radio hire quotation and prefer to get an emailed quotation, please fill out the form below with as much detail as possible. The hire coordinator will respond. Quantity of Radios (guide quantity)? Hire Duration - Specific Period? A unit hire price (per week) will be emailed, it will be based on the information you provided via the above form. 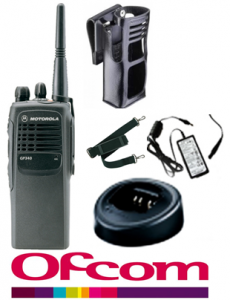 Radios come with a charging provision for 100% of the radios (unless instructed otherwise), a carry case and strap (a pocket clip can also be included if requested), aerial and OEM battery. If you have any special requirements please ensure this is added in the requirements fields.